Are you craving for authentic Italian cuisine? If you love coffee, gelato, pasta, pizza, and anything Italian, there's one place that will satisfy all your Italian food cravings- Casa Italia! This cozy place located in the heart of Bonifaco Global City opened recently and I was one of the invited bloggers to get the first dibs on what they are offering. As a coffee lover, I was so excited to have a taste of what they boast as the freshest coffee in town. Don't be intimated because authentic need not to be expensive, right? 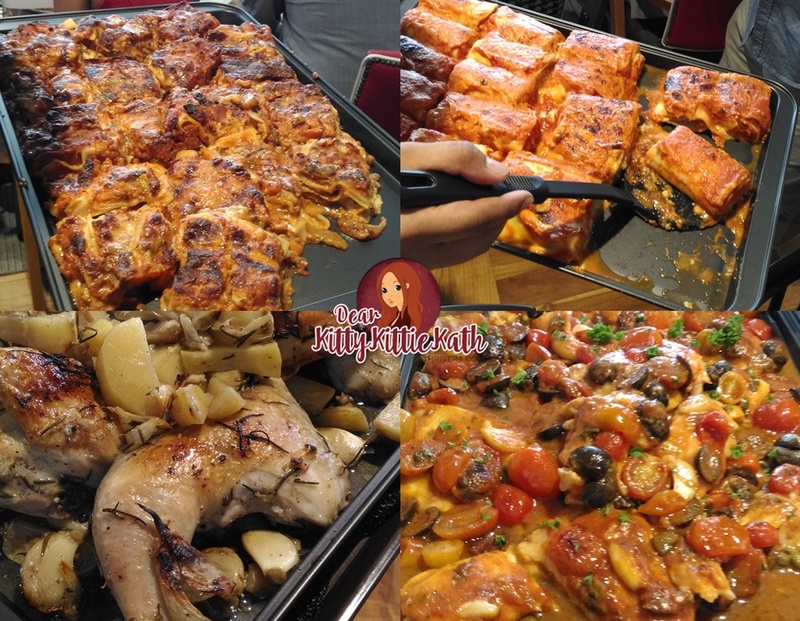 Casa Italia, which means Italian house in English, offers a wholesome array of real Italian dishes served in a fast, casual dining setting, transporting food-lovers straight to Italy. Wanna see what's in store for you when you visit Casa Italia? Scroll down and see the highlights of the event below. Casa Italia is a modern-day interpretation of the traditional Italian bar. 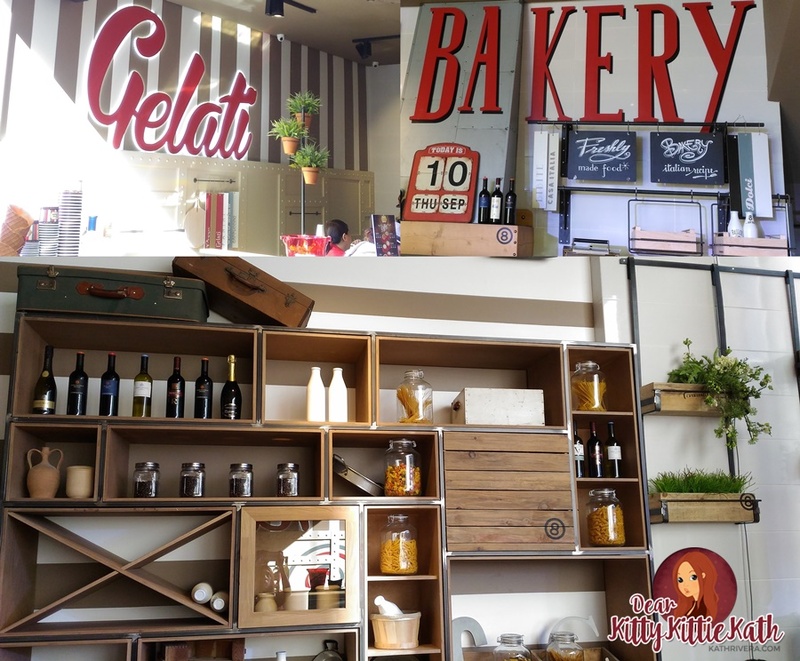 This newest place to have an authentic Italian food boasts of micro-roasted Coffee Otto, handcrafted premium gelato, freshly made favorites—including salads, and oven-baked pizzas and paninis—Italian beers, and wine. If you will ask me if a trip to Casa Italia is worth it since I live two-three hours away from BGC, my answer is a resounding YES! Why? 1. Casa Italia restaurant uses only the finest quality ingredients and traditional Italian cooking techniques, allowing diners to have a taste of Italy anytime they wish. 2. 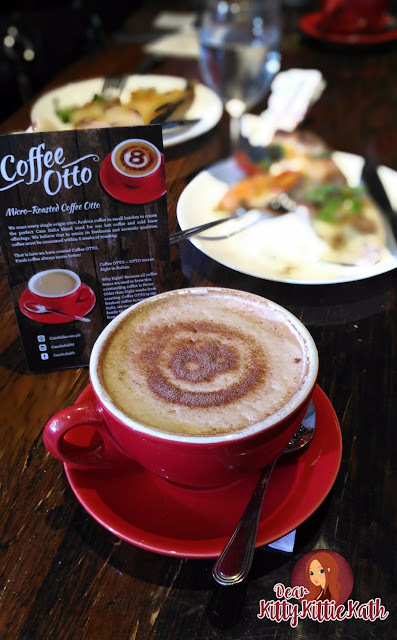 Casa Italia offers its signature coffee blend called Otto, or eight in Italian. This is because the restaurant uses 100% Arabica beans that are never more than eight weeks old from roasting, guaranteeing full-bodied freshness in every cup. 3. Casa Italia also have gelatos. 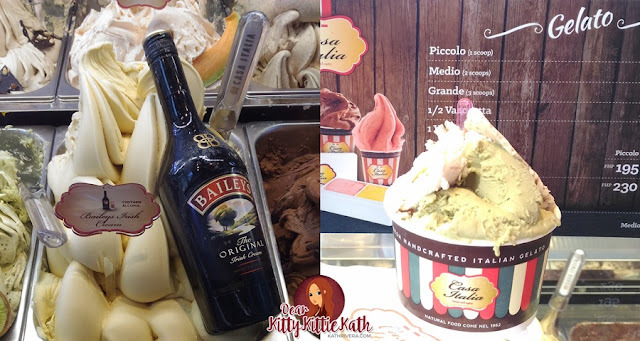 Diners choose from more than 40 all-natural flavors ranging from Dark Truffle, Pistachio, classic Vanilla, and even Durian, as well as tangy fruit sorbets, and other variants that are infused with liquor. More than just a dining destination, Casa Italia is a place one can call a second home, where people can delight in good Italian food made from honest, fresh ingredients and prepared in the passionate Italian way. Congratulations Casa Italia for a very successful launch. 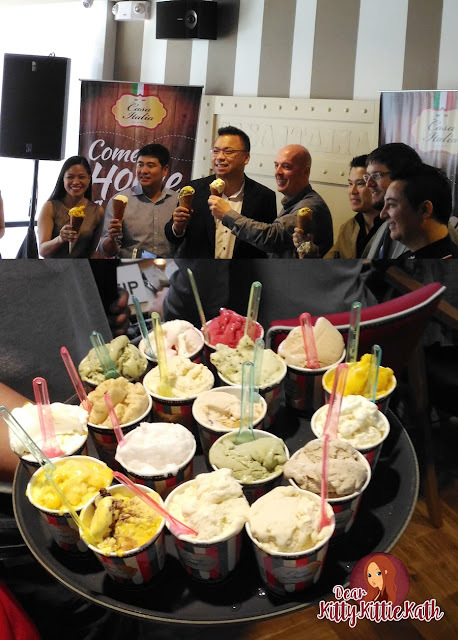 We had a blast at the grand launch and we enjoyed delicious Italian food including the yummy gelatos, pizza, and pasta! 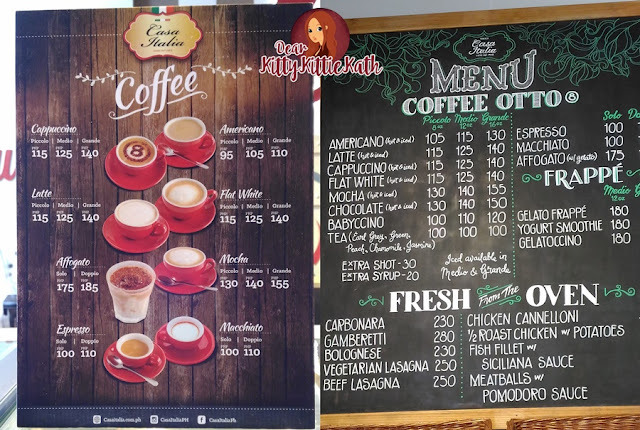 Savor the art of authentic Italian food, and express your love for real Italian gelato and coffee at Casa Italia. 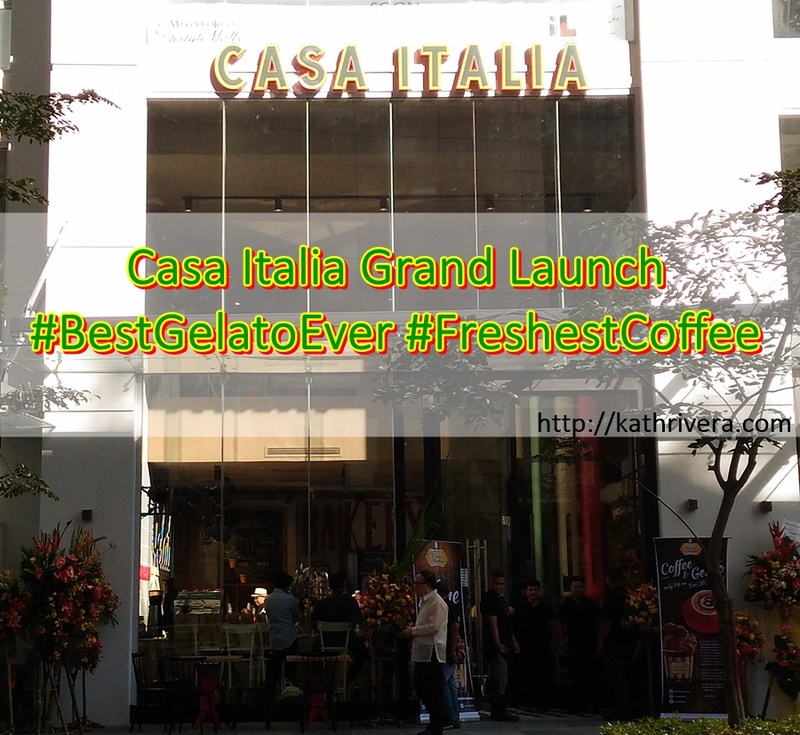 Make it a dining experience to remember and join the conversation online by using the hashtags #ILoveCasaItaliaPH, #BestGelatoEver, and #FreshestCoffee. Here's the menu in case you're wondering what to order at Casa Italia aside from gelato, coffee, and pizza. Visit Casa Italia at Forbestown Road, Burgos Park Bonifacio Global City for authentic Italian cuisine. I highly recommend their food offerings and I'm pretty sure that once you dine there with your family and friends, you'll definitely enjoy your stay. Gelato and amazing coffee? This sounds divine!